Tear ducts are small channels in the visual apparatus (or eyes) that serves to drain excess tears into the nose. But sometimes these tubes get blocked and thereby affect the tear drainage functions significantly. If the duct stays blocked for long period of times, your tears may begin to build up in the eyes; thereby resulting in localized discomfort, swelling, inflammation and permanent damage to the duct. It can also cause infection and make your eyes watery and painful. When having a blocked tear duct, adults wonder what to do. It is mostly treatable depending on the extent of clogging and age of patient. 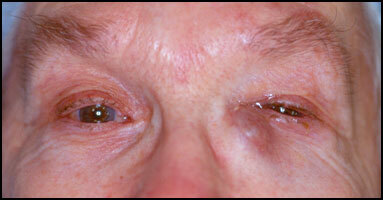 Infection can also expand around the eyes in severe cases. Tear duct lining thickens which makes the duct narrow. Swelling and inflammation can contribute to the thickening of lining layer. It is also known as PANDO (Primary Acquired Nasolacrimal Duct Obstruction) and most commonly occur in women aged over 40 years. Eyelids and the skin around the eyes got swollen and reddish due to an ongoing infection. In chronic infections, risk of scar tissue formation is fairly high. As for blocked treat duct, adult should seek treatments in terms of the inciting cause, which could vary from mere careful observation and watchful waiting to surgical intervention. If the reason behind your blocked tear duct is an acute injury on the face, then conservative treatments are usually suggested. The aim of conservative therapy is to reduce the swelling, allow the injury to heal and unclog the tear duct on its own. The process may take weeks or even months in case of severe injuries. For blocked tear duct, adults can turn to minimally invasive treatments. They are very effective for narrowed and partly blocked duct. In adults who have partially narrowed duct, the process is started by enlarging the punctal opening with the help of dilation instrument. A thin probe is then inserted all the way to nasal opening and probe is then removed. Then saline solution is used to flush and unclog the duct. The process provides temporary relief at least, if the problem is narrow punctal opening alone. In case of infection, antibiotic liquids are suggested. In severe cases surgery or incisional treatment may be needed. If your tear duct is blocked with signs of chronic inflammation and scarring, balloon catheter dilation can be used as a treatment to open the blockage. General anesthesia is used in this method and involves the insertion of a catheter with a tip threaded with a deflated balloon. Once the catheter is allowed to pass through the nose and nasolacrimal duct, the balloon is inflated and deflated several times using a pump to unclog the drainage structure. The procedure is best for toddlers, but can also be used for partially blocked tear duct in adults. The procedure is ideally performed in the general anesthesia. A slender polyurethane or silicon tube is inserted via the corner of eyelid into nose, thereby passing through the drainage pathway of tears. In most cases, the tube is left inside for around 3 months before removing. The tube's presence can also cause inflammation in some cases. As for blocked tear duct, adults who are in need of permanent treatment should turn to surgery. The nature of surgery can vary, depending on the blockage extent and the location of blockage. Blocked tear duct can be surgically opened by external dacryocystorhinostomy. Surgeon splits the side of nose near lacrimal sac when patient is under the anesthesia. The surgeon stitches up the cut skin after connecting nasal cavity with lacrimal sac and placing stent in the new passageway. The same procedure can also be performed with endoscopic tools. Instead of making an incision, a microscopic camera and other tiny tools are used, which are inserted from the opening of the nose into the duct system. At times, a fiber optic light is used and entered into the puncta for illuminating the surgical region. The biggest advantage of this procedure is that no scar is left and no incision is required. But it requires special training for the surgeons and has low success rate. For severe cases of blocked tear duct, adults might require complete rebuilding of the duct system. It depends on the blockage type and extent. A new path is created near the corners of eye from the conjunctiva to the nose instead of making a new channel from lachrymal sac to nose, bypassing the whole tear drainage system.